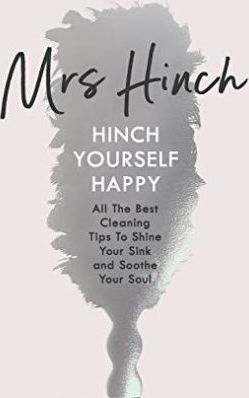 Sophie Hinchliffe (Mrs Hinch) is 28 years old and - in her own words - loves to clean AKA Hinch. Sophie coined the term 'Hinching' for cleaning, and shares her Hinching adventures on her hugely popular Instagram account. Sophie is a big believer in the idea that a happy home can help create a happy mind, and decided to write a book packed with tips to help shine your sink and soothe your soul. Mrs Hinch is married to Mr Hinch and they live in Essex with their dog Henry Hinch.